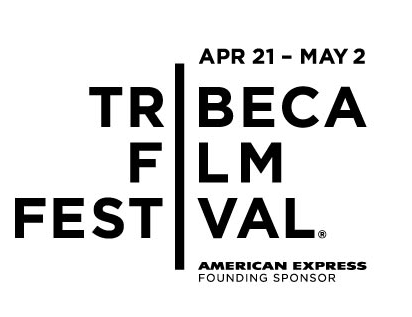 Get your film screening groove on, the Tribeca Film Festival has landed. This year, the schedule is jammed packed--complete with its new interactive features on the web, on the tele, and of course now a-days--there's always an app for that. In the age of festival web 2.0, NY film enthusiasts can now watch movies not just at the theater, but they can also stream them on the web and even participate in the live Q&As portion of the screening--which can often be the best part if you ask us. And of course, what Film Festival wouldn't be fitting without your very own cable provider cutting a piece of the motion picture: The movie selection will also be available for your own viewing pleasure and at your earliest convenience via On Demand. Now no one has to feel rejected or too left out, if they get locked out of the ticket sales, which in a city of about 8.3 million people--happens more often than not, survival of the fittest style. So thanks to the digital age of distribution, anyone and everyone--including those who can't even be in New York during 2010's NY film-fashion-week can have a peak and eat it too. Check out what the film makers are saying about having unlimited virtual prevalence for their coveted final products. However, if you're lucky enough to be in the Big Apple, don't be blinded by all this virtual access, for there is an abundance of rich events happening at every little nook and cranny surrounding the festival. 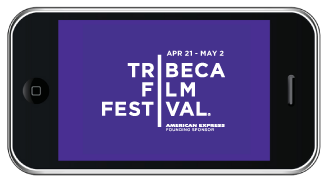 Even the Apple Store SoHo is getting involved with a "pre-festival-meet-and-greet-event," this Sunday, April 18th, 4pm - 5:30pm with the filmmakers themselves. The megastore is also holding other exclusive events and workshops throughout TFF. For more details go HERE. And of course don't forget to download the app for that, or you can simply go straight HERE to check out the TFF tour-guide on PDF. HAPPY TRIBECA FILM FESTIVAL 2.0 EVERYONE!